Listed as OUT OF STOCK – our own inventory,but you can order from our distributor. Please use the link to order. The book takes the form of six essays covering the life and teachings of Shri Govindananda Bharati, known at the time of his death as the Shivapuri Baba. The first chapter describes his origins from his birth in 1826 in Kerala, his religious training and preparation and his 40 year circumambulation of the world, meeting all the major world leaders of his day, and his forty year retirement in a forest hut outside Kathmandu. Subsequent chapters, describe his practical teachings, which are so simply explained and so universal that they will always be relevant to seekers. Ancient teachings are presented in a modern interpretation. The Shivapuri Baba himself described his teachings as “the Bhagavad Gita brought up to date’. The final chapter presents a revolutionary world view which reveals an immense wisdom and understanding of human destiny, presented in a form that all can appreciate. The Shivapuri Baba left this life in January of 1963, and at that time few knew of him, and nothing at all had been written about him. The present book was the first pubic account of the saint, appearing in 1965. In 2001, Thakur Lal Manadhar’s son Giridhar approached J.G. Bennett’s family requesting the rights to republish in English and Nepali. Giridhar was able to provide a number of photographic images not published previously and many of which were from his own camera. The present edition is taken form the 2001 publication. At the launch of the book in Kathmandu in 2007, Giridhar was asked by a reporter whether the Shivapuri Baba had actually read what was written, noting that the text indicated that he had seen and approved it? Giridhar said that he believed that he had not read it, and stating that at the end of his life, the Shivapuri Baba did not want to engage with anything which would tie him to the world he was preparing to leave for the last time. To Dr Sarvepalli Radhakrishnan, visiting in 1956 he said: “I teach three disciplines: physical; moral spiritual.” These disciplines form the foundation of Right Life – Swadharma, and the journals of Thakur Lal Manandhar relate how these disciplines were taught in the practical application to every day life. This is a simple but inspiring book from which everybody can benefit . A couple of weeks ago, I got hold of John G. Bennett’s Long Pilgrimage-The Life and teaching of the Shivapuri Baba written in collaboration with Thakur Lal Manandhar. First Published in 1965 by a British publishing house Hodder and Stoughton, the book was immensely popular among Britishers and non-natives alike who had a hunger for spiritual guidance, and were devoid of an ability to gain super-consciousness without hand-holding. The Shivapuri Baba aka Swami Govindanath Bharati was born in a rich Brahmin household in the Indian state of Kerala in 1826. At a tender age of 18, he decided to abandon the world and seek for absolute truth. Here, Bennett is talking of the time when “the future Edward VII was a three-year old infant in Buckingham Palace while the great Indian saint Ramakrishna was ten years old.” Govindananda Bharati followed the “path of Rtambhara Prajna or absolute realization of God beyond all forms and images.” The writer explains that this stage is not reached until there is a progressive elimination of all that support and comfort the mind. He further explains that when all is stripped away, and the soul enters the absolute nakedness that is beyond understanding can it make the final act of the Pure Will whereby all distinctions disappear and all the Individual and the Absolute are made one. Although an Indian sage, the Shivapuri Baba spent over 40 years of his life in Nepal. There is an interesting account of how he hoodwinked the Ranas and entered a country virtually closed to the foreigners. On March 1926, Swami Govindanath first visited Nepal, accompanied by a horde of Indian Shadhus on their way to pay homage to Lord Pashupatinath. The Indian sage entered Nepal at a time when the country was virtually closed to foreigners and pilgrims alike. Only during the holy festival of Shivaratri, Hindu pilgrims were allowed to enter the country on the condition that they would leave within one week. 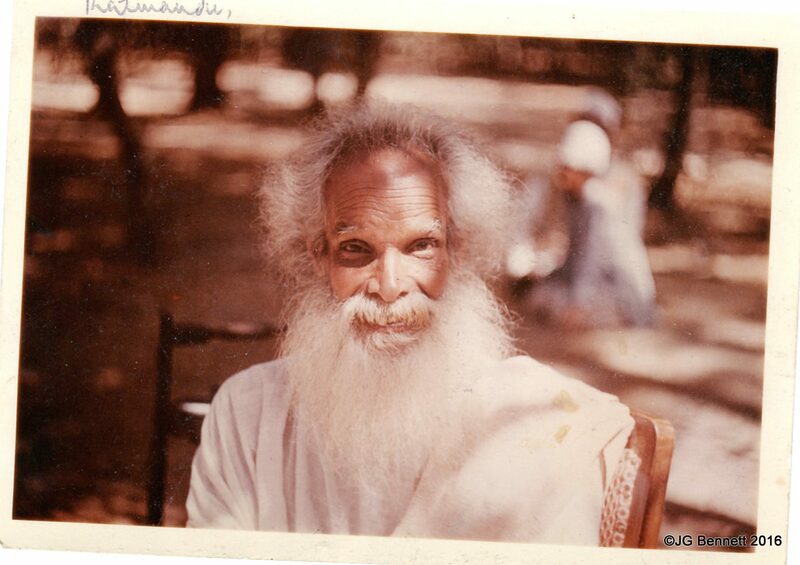 Bennett has listed a number of amusing anecdotes about the Shivapuri Baba. Notably, among them is his visit with the great 20th century dramatist, George Bernard Shaw. Although a learned philosopher, he harbored a deep contempt for saints and their world. Therefore, during his encounter with the Shivapuri Baba, he said, “You Indian saints are the most useless of men; you have no respect for time.” The latter’s reply was something like this, “It is you who are the slaves of time. I live in eternity.” No wonder, the Baba was blessed with a very long life, which, after his awakening at the age of 50, he dedicated entirely to the spiritual welfare of others. The Shivapuri Baba taught the principle of Swadharma, which believes that as humans we have three principle duties: first, physical duty towards our self. It mainly consists of maintaining body and mind through proper livelihood, including the obligation to help one’s dependents to accomplish the same. The second is one’s moral duty, consisting in remaining sensitive to the obligation to seek the truth 24 hours a day. And the third, spiritual duty, means the worship of the Divine. He felt certain that if we attend carefully to the first two duties for a decade, we will naturally become able to fulfill the third duty. Physical discipline, he noted, brings pleasure. Moral discipline gives us serenity. Spiritual discipline yields deep peace and ultimate happiness. Most people, who live householder lives, need to take care of the first two duties, which are in preparation of the third sacred obligation. His emphasis on the moral disciplines strikes a positive chord, because all authentic yoga regards morality as the foundation of the spiritual path. We can also readily agree with the Shivapuri Baba’s insistence on becoming a fully functional member of society. All too often the spiritual quest is engaged as a neurotic escape from conventional life, which cannot possibly lead to inner freedom. I found myself admiring the Shivapuri Baba more and more, as I read this book launched in Nepal for the first time by Giridhar Lal Manandhar, the son of Thakur Lal Manandhar. As Giridhar himself mentions, it is a matter of pride that an edition has been published for worldwide distribution in a country from where the Shivapuri Baba started his teachings.